Award-winning independent jewellers in Eastbourne, offering a range of exclusive brands unique pre-owned and bespoke jewellery. Looking for the perfect engagement rings in Eastbourne? Ask about the bespoke design service. 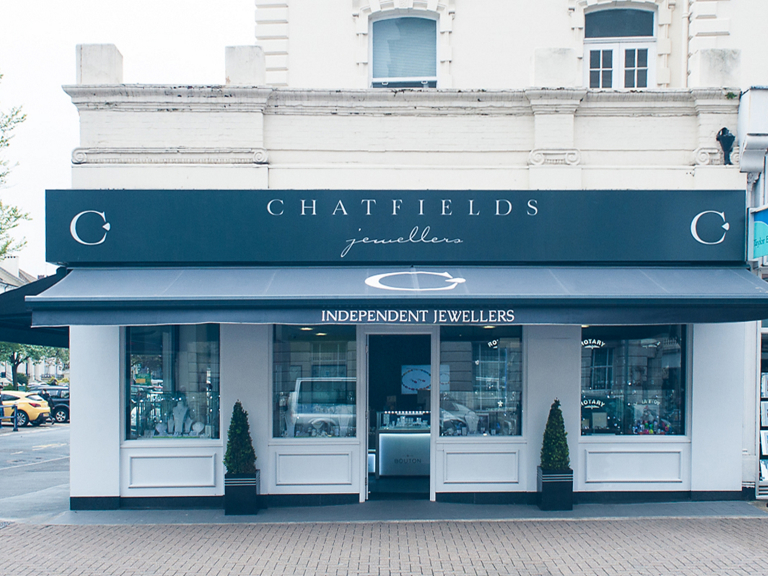 The Chatfields store in Eastbourne Town centre may be new, but the family and its reputation in the jewellery business is well established in East Sussex. Chatfields & Son Jewellers began trading in Seaford all the way back in 1947. There’s even a branch still in Uckfield. In 2013, the flagship store was moved from Seaford to Eastbourne, where they have found great success. Looking for the perfect engagement rings in Eastbourne, if you have the perfect ring in mind, Chatfields can make it a reality. Thanks to their amazing CAD software, you can design a ring exactly how you want it. Choose the colour, shape, gemstone type, shoulder detail, and the specific metal. Your ring is made to order as soon as you finalise your design specifications! Want to design your own jewellery in Eastbourne? then call today. Chatfields Jewellers celebrates successful launch of New Custom Design Studio.